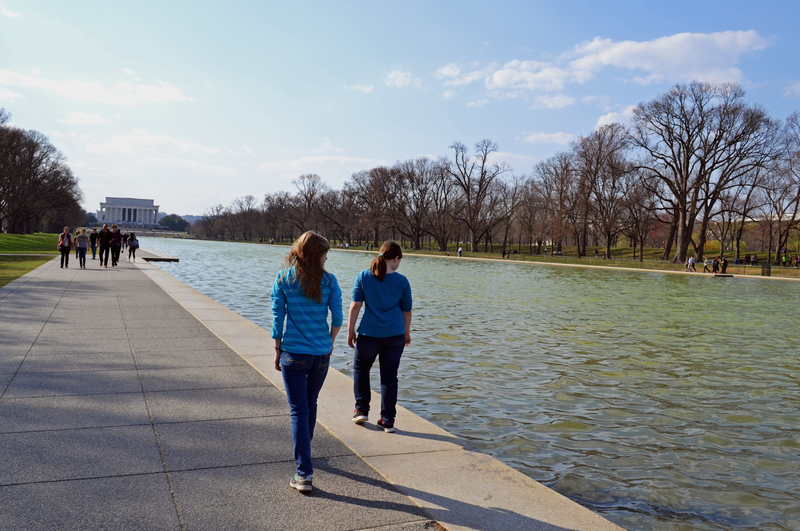 We made our way down the National Mall from the WWII Memorial to the Lincoln Memorial. 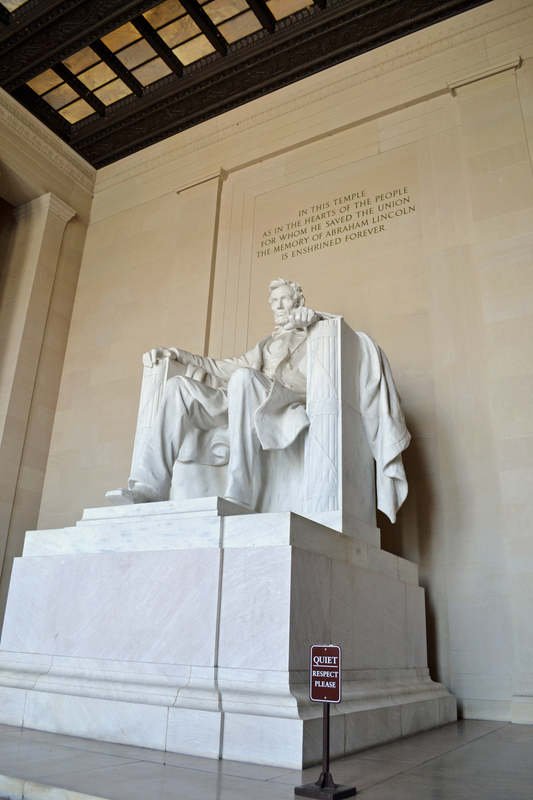 I had been able to see this iconic statue when I was 18, but it was just as exciting, if not more so, to see it again only this time, with my husband and five children. It was like stepping into a time-warp, all I needed was a DeLorean nearby. Nothing had changed. Now, I admit that I, in the intervening years, have changed a bit. I have gotten older, for one thing. I was definitely feeling every mile we walked that day. 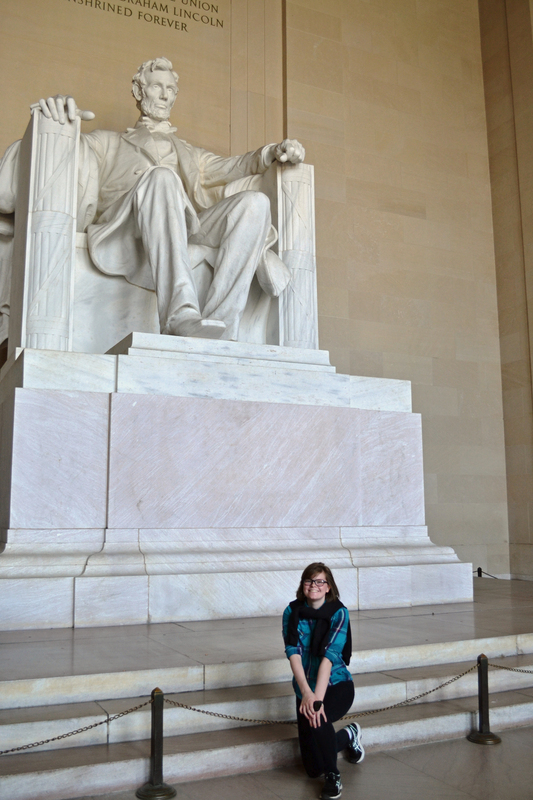 And I’ve come to have a slightly new perspective on the man, Lincoln. But nothing has changed the awe and respect I have for our country, its liberty, and its history. I am thankful for the men we call the Presidents, as I know they are each one ordained of God. I do not elevate them above God, but I am respectful of them nonetheless. All that America has been and is today is by the grace and mercy of Almighty God. As we visited our illustrious nation’s capital, I could not help but give thanks in my heart for this great country I call home. 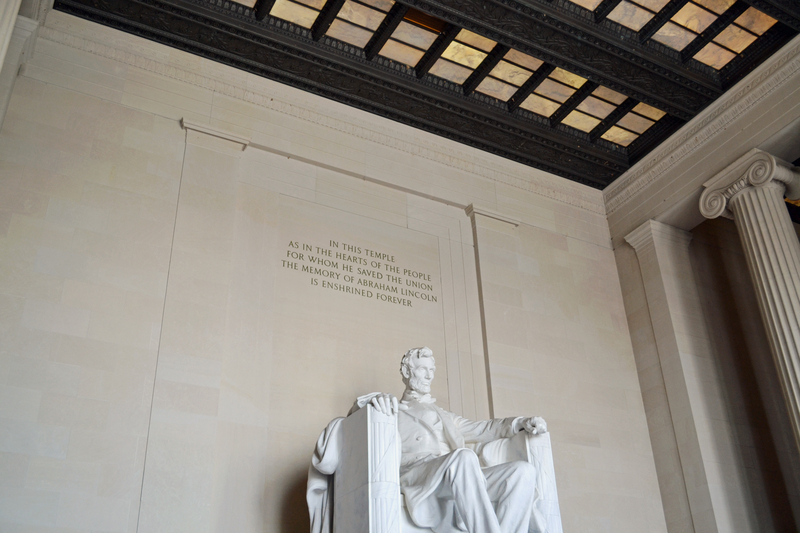 A few views of Mr. Lincoln. I was happy to get these shots without people in them, as the place was teeming with them. 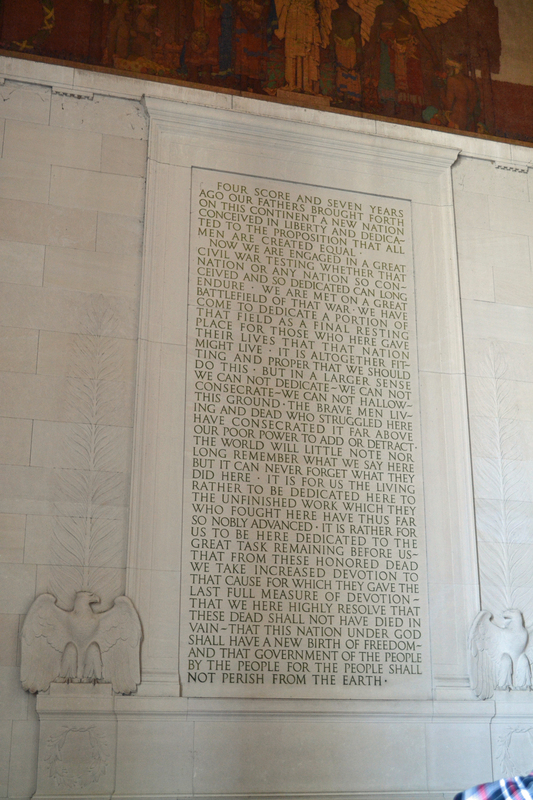 The Gettysburg Address is carved on one of the walls of the memorial. 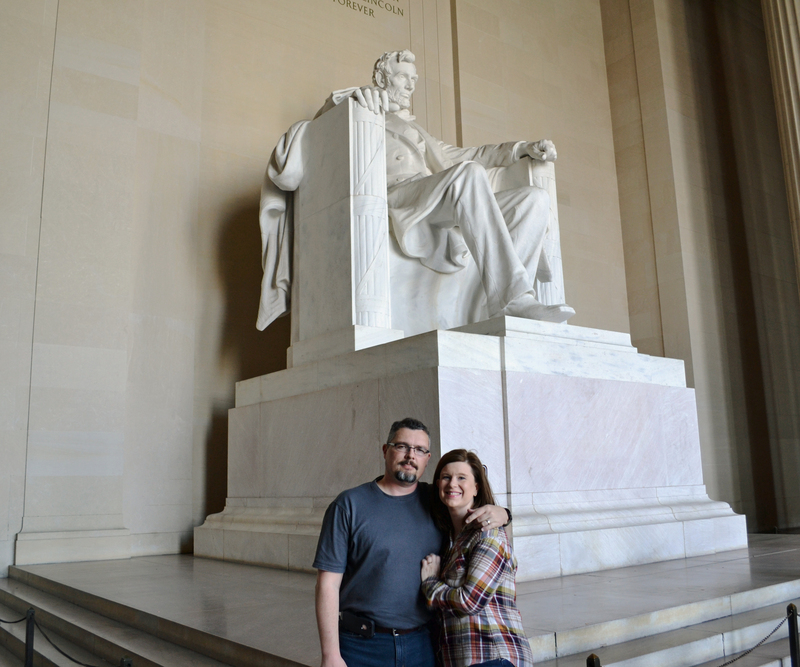 It had special meaning since we had visited Gettysburg the week before. 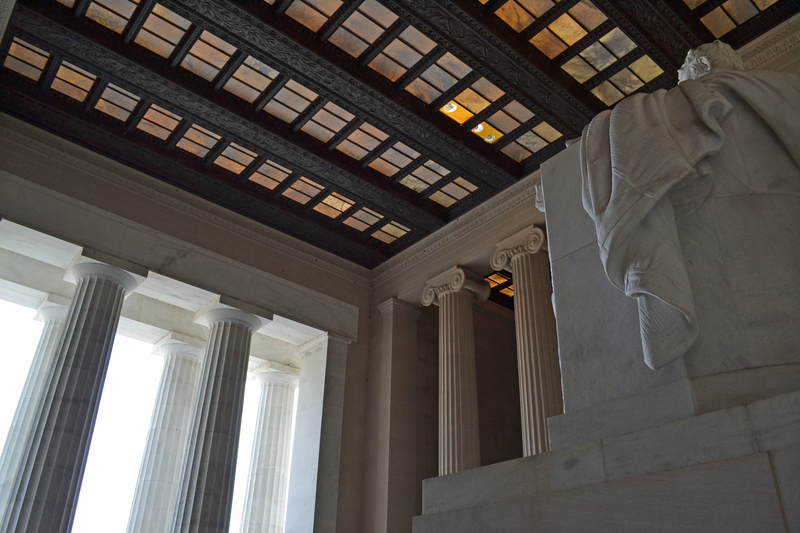 A view from beside Mr. Lincoln. 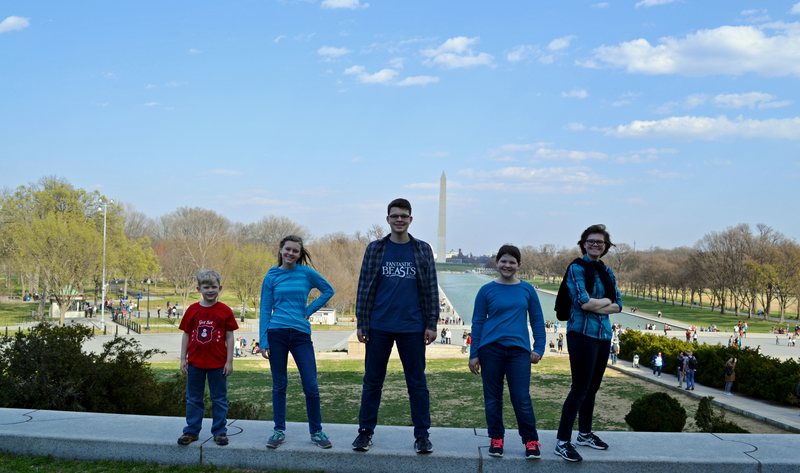 As we were leaving, I snapped this one of the five kids with the ever-present Washington Memorial in the background. They have changed some even in the few months since we took this photo. I will treasure this memory for many years to come. The Lord is so good to me. 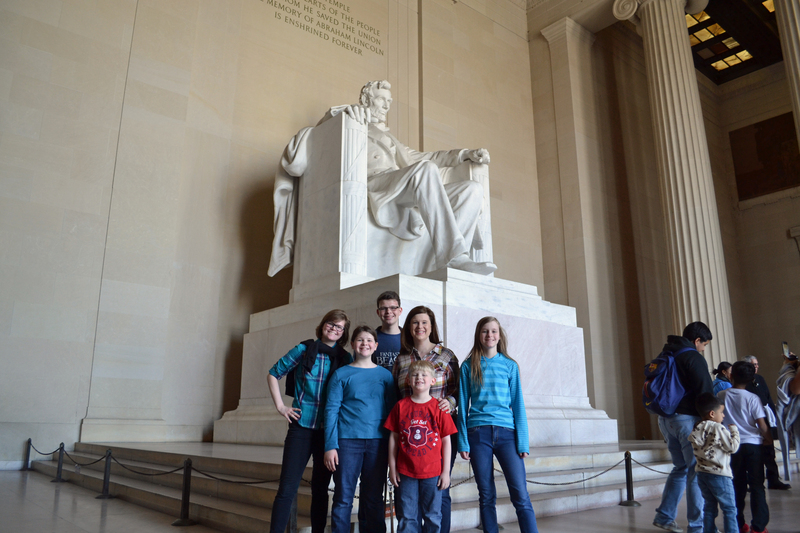 To read past posts about our trip to Gettysburg and DC, click HERE. Thank you for touring with me! What a wonderful trip you guys had! I really enjoyed reading your stories and seeing your photos. I can only hope that someday soon Jared and I will be able to visit the states again and visit all of these places you blogged about. Have a lovely weekend, Valerie.